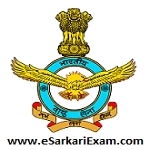 Eligible Candidates can Download Selection List at the Official Website of Indian Air Force. Applicants First Logon to AFCAT Official Website. Open Select List Link in News Section at Home Page. Check Result by Using Name/Roll No.